Skincare exceeding the highest expectations and therefore winner of over a 100 awards! 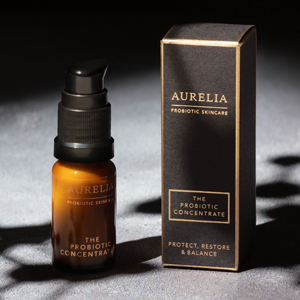 That’s Aurelia Probiotic Skincare! 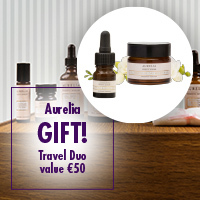 And it even gets better as an Aurelia purchase over €50 brings you travel sizes of the day moisturizer and the serum, worth €50, for free! This intense and lightweight probiotic concentrate banishes pigmentation, wrinkles and dullness and makes your skin glow again! Dream away with a mix of neroli, lavender, rose and mandarin. 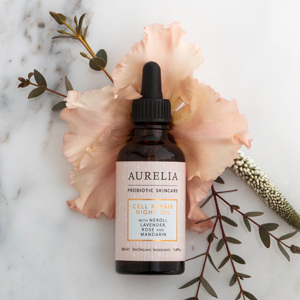 This intensive Cell Repair Night Oil does its job while you are sleeping. 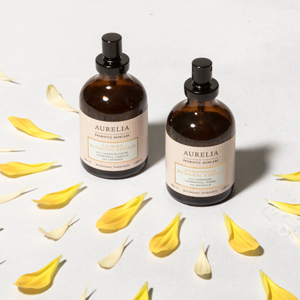 These lightweight botanical essences or facial sprays with advanced probiotic technology give your skin and mind an extra energy boost or let you unwind in times of stress, a lack of sleep or a jetlag. Whatever essence you choose, they will give you a soft glowy skin. tekst in. 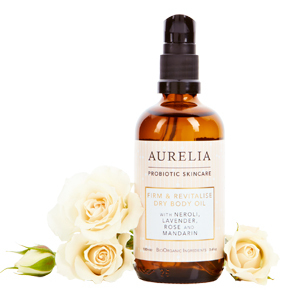 Firm up and hydrate your skin with this nourishing and refined multifunctional ‘Firm & Revitalise dry’ body oil from Aurelia Probiotic Skincare! Diminish pigmentation, restore and nourish your hands and nails with this lovely, advanced Aromatic Repair & Brighten hand cream.